Because of too many social networking sites today, it’s not a sin if you forget a password or two. Unless you have the same password for all of your accounts, this wouldn’t be a problem. Did you know that trying too many incorrect log-in attempts can lock you out of your Facebook account? Facebook ensures their subscribers that our information remains confidential between us and Facebook parties. This is the main reason why they lock out accounts after multiple failed log-in attempts. Being locked out is when they prompt you with this. Also mind that being locked out of Facebook is different from forgetting your password. In case of a forgotten/mistyped password, we have the traditional way of recovering our password. See that “Forgot Account” button there? Clicking that will prompt you to a page where Facebook will ask you to enter your email address. Enter your email address and voila! They’ll send a recovery password in your email. If you’re locked out however, it’s more than sending a recovery password. The Security Questions method is the method wherein you need to verify that it is YOU who are logging-in. Facebook wants their members to be secured so after multiple times of inaccessibility, they lock the account out. Answering security questions to prove that it is you can solve the issue. However, some, if not most people often forget their security questions because when they’ve set it up, they did not focus on it. Which is why this is not the best technique to help you win your account back. The Recovery Form however, is another way of letting you in your account again. What you will do in this scenario is that you’ll submit a report to Facebook about what happened. You can narrate what occurred, send screenshots, and report that you’ve been locked out. What most people do not like about this process is the fact that it can take days before the issue is actually resolved. Facebook is a busy place, give it some time. Now, since the two methods are not that very convenient for many, the only option left is to contact your friends. We’ll discuss how it works but first, how do you choose your friends to help you? Before making them your trusted contacts in Facebook, be sure that you truly trust them with your account. Nowadays, trust is relevant especially when dealing with these kinds of stuff. Step 2: From Settings, go to your Security and Login Settings. 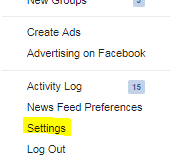 You can find this in the left hand-side of the Settings tab. Step 3: Scroll down until you see Choose 3 to 5 friends to contact if you get locked out of Facebook. Step 4: Click Edit and there you have it. You can now choose your trusted Facebook contacts/friends. After editing, you can always modify or change trusted contacts so be sure to have a look at this often. How do I contact my trusted contacts if I get locked out of my Facebook account? Now that you know how you choose them, it’s time for you to learn how you contact them. Step 1: Hit on the Forgot Account? button in the login page which I also mentioned earlier. Step 2: After clicking on that, enter your email address or cellphone number so that Facebook can identify you. After doing so, hit on Search. Step 3: Since what we are looking for is the list of our trusted contacts, (and assuming you do not have access to these anymore) click No longer have access to these? button on the bottom part of this prompt. Doing so will redirect you to page where it will ask you to try again. Step 4: Enter a new email address and/or phone that you know you can access and click Continue. Step 5: After that, it will give you the option to Reveal My Trusted Contacts. You would need to type the full name of your trusted contacts. Step 6: Now, you’ll see instructions on how it will be resolved. The prompt will include a special URL; a URL contains a recovery code that only your trusted contacts can access. Notify your friends and give them the URL you have so that they can open the link and give the security code to you. 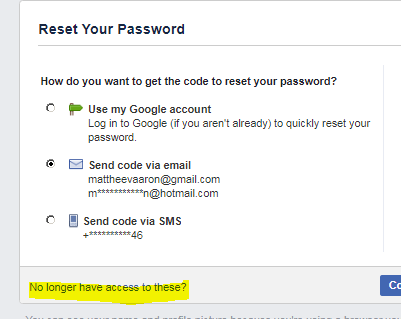 Step 7: Use that recovery code to regain access on your account. Although we know these tips, it’s still essential that we take good care of our accounts because as far as we take it, it will contain confidential and secretive content. Thanks to the good construction and strategy of Facebook, we can have trusted contacts to aid us when we get locked out of our Facebook accounts. For more Facebook Tips and tutorials visit our Facebook Tutorial Archives.